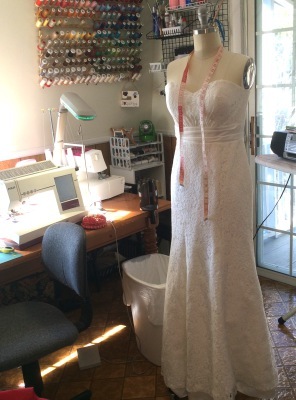 Whether it's a bridal gown, bridesmaid dress, business suit, prom dress, pageant gown, or any piece of apparel, Kathy can use her skill to make the garment fit you perfectly. * Put in a corset, a cuff, sleeves, etc. Do you find that retail clothing doesn't fit well? Is there a unique event in your future? Do you get frustrated trying to find clothing that expresses your style? There are times when nothing but an orginal will do. 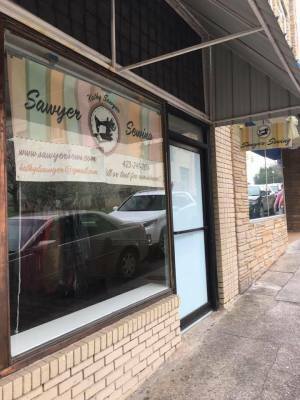 Gather your photos, sketches, or ideas and contact Kathy for a consultation/estimate and see how she can make your dream garment a reality. 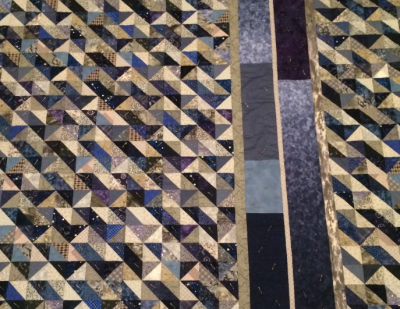 Quilts can be created from an idea, photo, or pattern. Any size, any style is possible. Hand quilting or machine quilting. Prices doubled for RUSH less than 6 days. Pricing can be affected by many variables such as the type of fabrics, construction, styles, and time involved for each technique. Only a consultation will provide you with an accurate estimate.